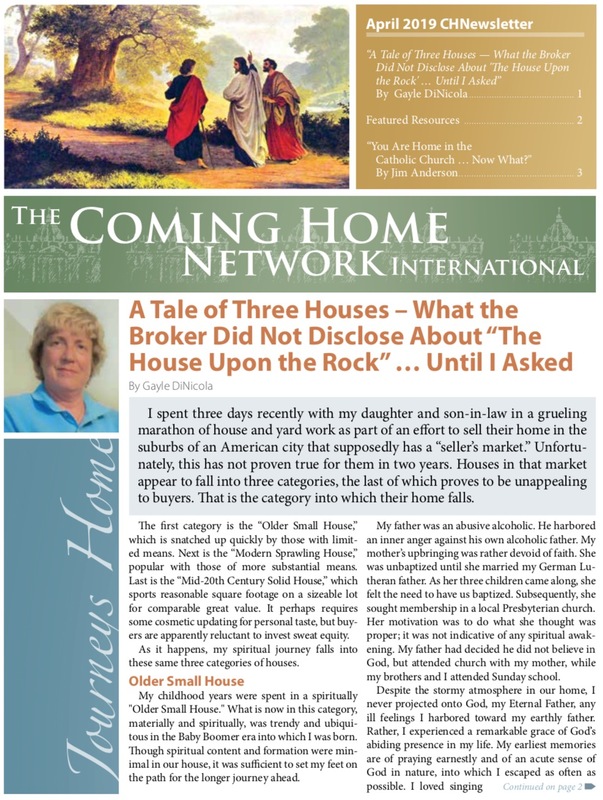 For over 20 years members of the Coming Home Network have stayed connected via the CHNewsletter, sharing their stories, learning about the Catholic faith, assisting men and women on the journey to Catholicism, and praying together for Christian unity. We encourage you to sign up to receive the CHNewsletter and join us each month in reading the stories, praying for the needs of men and women on their journey to full communion with the Church, and then sharing the newsletter with someone else who might be inspired by it. 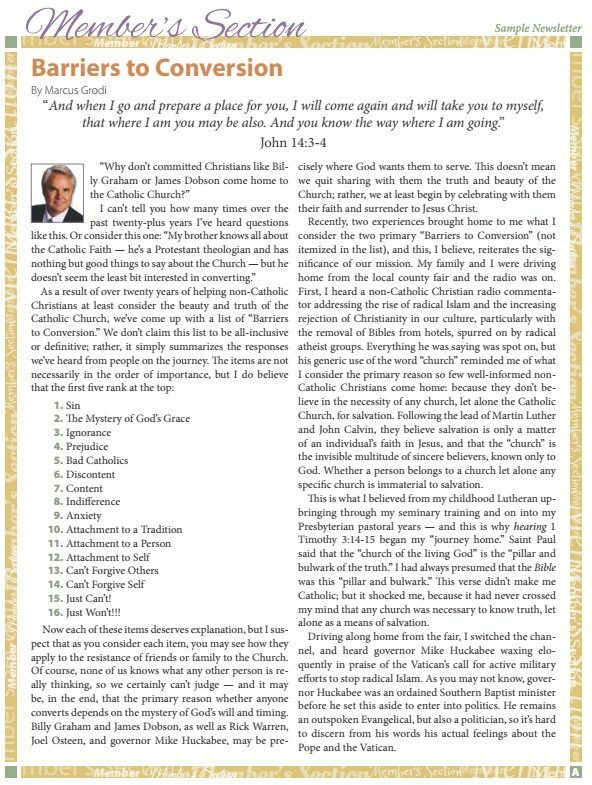 It is helpful for us to know the ways converts are getting involved in and helping to build up the Catholic faith. 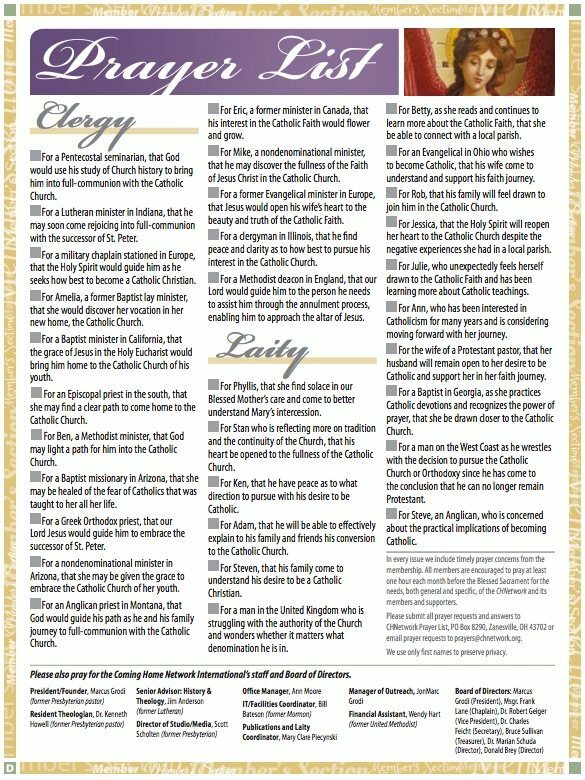 What services or ministries have you been involved with as a Catholic? Which areas are you most struggling with or in need of help? Would you like to add any additional comments, questions, or prayer requests? Would you like to set up a donation to the Coming Home Network? Thanks for your consideration! Through the generosity of our partners, we are able to offer resources, assistance, and fellowship to our separated brothers and sisters, clergy and laypeople, who are on the journey home to the Catholic Church.